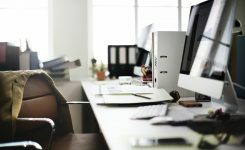 Charlie Fink is a former Disney, AOL and American Greetings executive. In the 90s, he ran VR pioneer Virtual World. Today he is a consultant, professional speaker, columnist for Forbes and author of Charlie Fink’s Metaverse, An AR Enabled Guide to VR and AR. By the time I spotted the shotgun, it was too late. I feel a sting in my thigh. I’ve been hit. I was distracted by the hysterical wife, while my partner was dealing with a nosy neighbor. We get off thirteen shots, all high, merely grazing the assailant. The simulation comes to a stop. “Rookie mistakes,” says our trainer, Deputy Jose Diaz of the LA County Sherriff’s Department. The LASD is a 17,000 man force that polices the endless suburban sprawl outside LA’s city limits. Siemens, the German technology giant, supplies much of the equipment for Deutsche Bahn, Germany’s national intercity express train system. 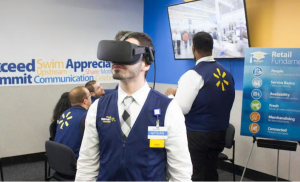 With over 4,000 employees working with new technology, the company is increasingly relying on Virtual Reality simulation for training. 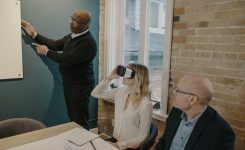 “VR is a great, economical way to provide hands-on training that is almost impossible to replicate in the real world,” said Martin Repondek of Deutschbahn. The company uses the HTC Vive to create custom VR training scenarios, perfectly replicating Deutsche Bahn’s equipment, tools, and controls. 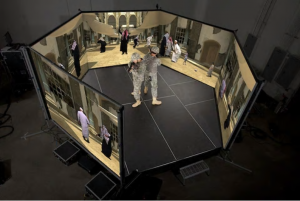 “It is particularly good for big, physical simulations of new equipment and operations,” Respondek told me. 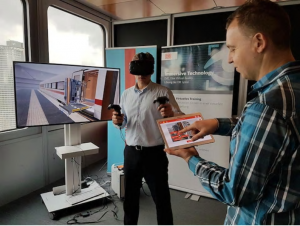 According to Usman Ghias, head of virtual product training for Deuschbahn, by the end of 2018, the entire workforce of 4,000 will train in virtual reality. Students using the modules must verbally identify potential road hazards such as pedestrians, parked cars, and oncoming traffic. The 360-degree view inside the Vive headset is extremely realistic. 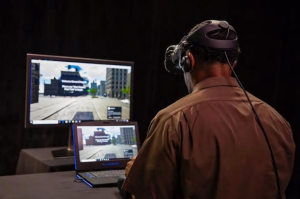 “Virtual Reality offers a big technological leap in the realm of driver safety training,” said Juan Perez, Chief Information and Engineering Officer for UPS. 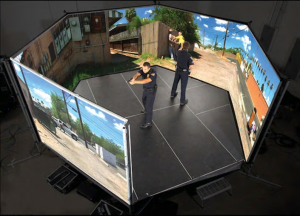 “VR creates a hyper-realistic streetscape that will dazzle even the youngest of our drivers whose previous exposure to the technology was through video games.” The company says it is exploring VR and even Augmented Reality (AR) for training tractor-trailer drivers and others throughout the operation. We’d like to thank Charlie Fink for being a guest author on our blog! 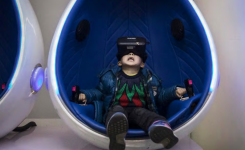 Check out some more of work here – and if you’re ready to start learning about virtual reality, start small and take our 5-day email course. 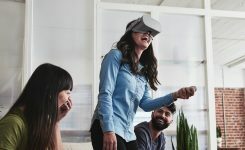 Here you’ll learn the fundamentals of virtual reality for business in 5 short sessions. 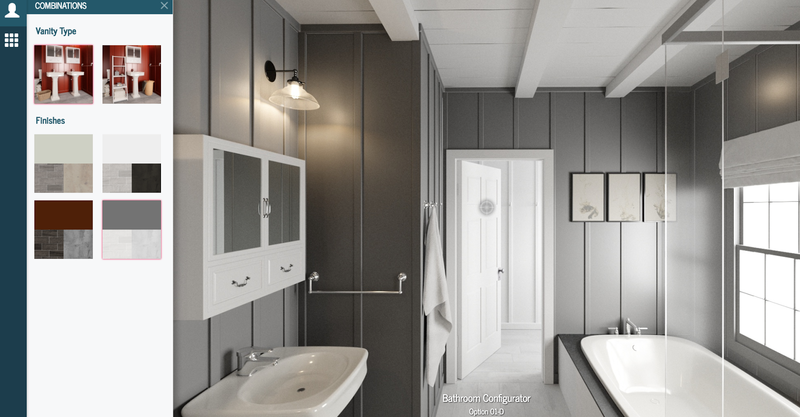 Or, if you’re ready to move onto the real deal – sign up for a free Yulio account here!